KM, or KilnMaster kilns, are automatic kilns manufactured from May of 1993 to present. 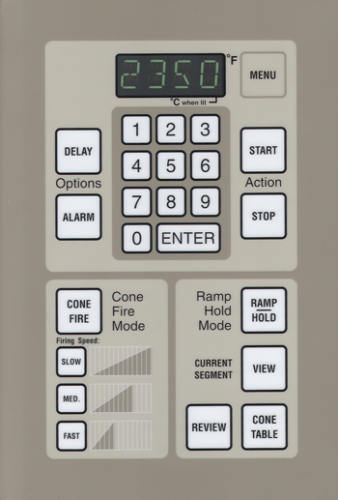 The Kilnmaster Kilns have a touchpad that allows you to enter ConeFire programs or write your own. There have been several versions of these controllers over the years and the wiring has changed. The wiring diagrams listed here are for the most recent version of the controller. Older versions will have different wiring configurations to the board and the relays. For detailed instructions on how to wire these older boards you will want to consult the Wiring Harness Replacement Instructions. These documents will help you identify your version and show you the proper wiring. 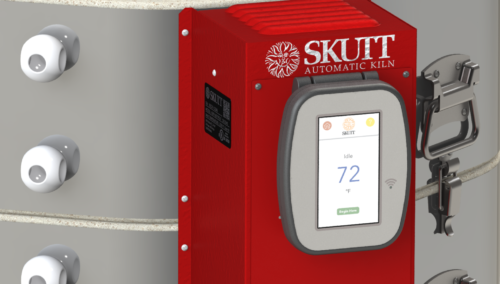 The KMT, or KilnMaster Touchscreen kilns, have the new Touchscreen Controller introduced in July 2018. This is a controller that looks and navigates much like a smart phone.